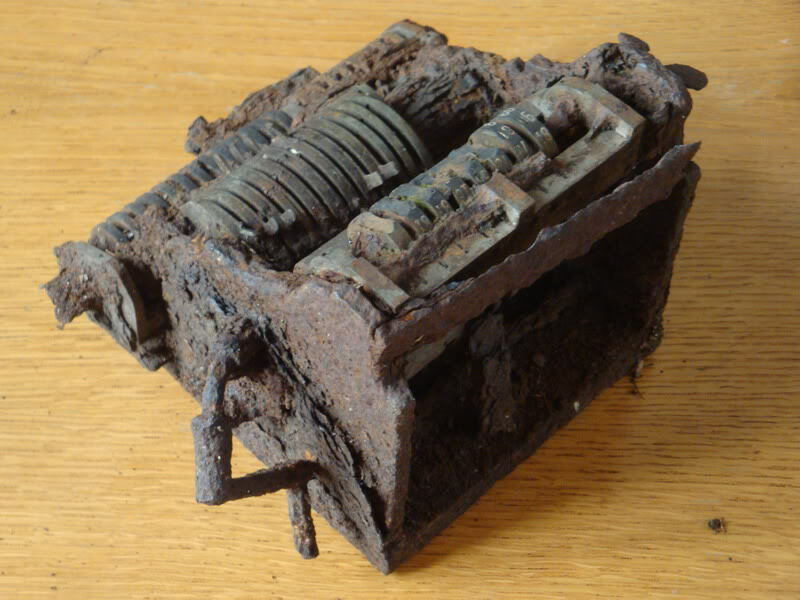 This story serves as a reminder of what eventually will happen to all of our machines if we do not care for them well - a group with an interest in the history of Gelsenkirchen often goes out on to the streets, woods and fields to find interesting traces of a bygone past. On a walk through the "Eulenbusch" (Owl's wood), Moni happened upon this poor machine covered in leaves and snow. It is a Brunsviga MH with serial nr. 51108 (which is still legible - brass has a much longer lifetime out in the wild than iron and steel do!). 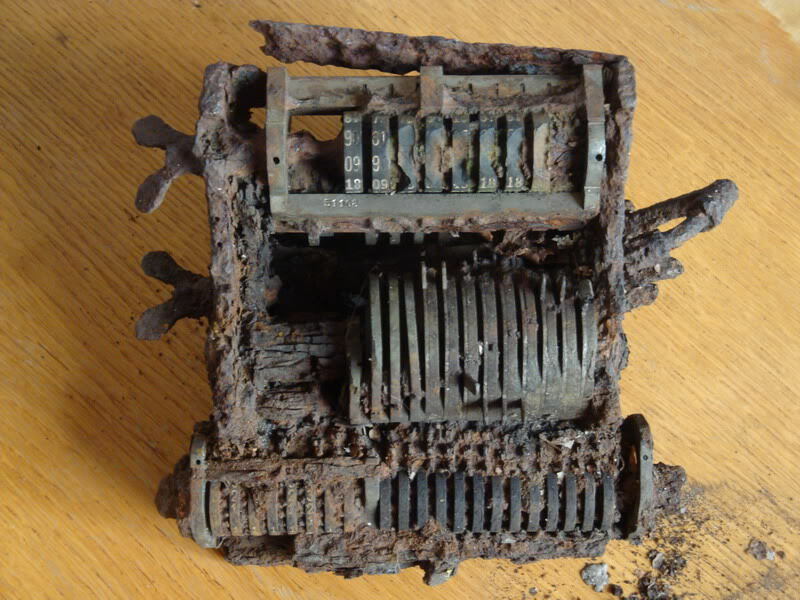 So please don't forget to oil those calculators and keep them dry - the rust devil will get them !